Well, in order to begin flipping domain names for a profit, the first thing that you have to do is actually have the domain name first. There are a variety of different places and a variety of different ways that you can go about doing this. You can use websites such as GoDaddy.com or NameCheap.com (my personal favorite) to purchase the domains that you need so that you can flip them for a product. Most domain names will not cost you more than $10 for the year. It all depends on the domain name, how high in demand it is and how much it is being sold for on these domain name websites. Each of my domain names (including this one) only cost about $11 per year. That’s it. Now, one of the many things that people do when they are looking for a domain name to buy (including myself) is look for a domain name that they will be able to rank within the search engines. I particularly go after domain names that contain the main keyword I’m going to be targeting on the website. Any type of domain name that contains a keyword or phrases that could be considered profitable, are the ones that have the most value. To find these particular keywords I recommend using a good keyword tools such as Jaaxy to narrow down what domain name you are going to be setting your eyes on. Another thing that people look at is the creative title of the domain name. Some people purchase domain names simply because the name is appealing and represents everything about their particular brand. For example, I have a pet food site based on giving detailed pet food reviews. The name of that domain is WhatIsInYourPetsFood.com. Not only does it represent exactly what my “brand” is about, in this case knowing what is in your pets food, it also has a nice little ring to it. Now, this is certainly not mandatory but I do highly recommend doing it. This will make your domain name more appealing and will be a name that buyers will be scratching at to purchase. I highly recommend setting up some social media profiles connected to the domain name as well as a basic blog for it (all of this is free to do). While this step could take a little more time to do (a couple of days to a week), it will certainly help your domain name to stand out above the rest. There are many domain marketplaces that you can place your domain name up for sale such as NameCheap.com, GoDaddy.com and Sedo.com. Now when you put your domain name up for sale, make sure to put it up for a reasonable price and nothing too outrageous. In order to succeed in this moneymaking adventure, I have a few helpful tips for you. Do not go into a niche that you have no clue what it is even about. Always stick with the niche in which you would consider yourself a master. If you do this, you will ultimately be more successful at it. Without tools, you will struggle in this line of work. For domain flipping the tool that I highly recommend is Jaaxy as it can help you pick out profitable domain names in your niche and even give you some insight on how it will rank in the search engines. To learn more about how Jaaxy can help you succeed in domain flipping, visit my Jaaxy keyword tool review here. I always say that if you think that you have learned everything there is to know about your job, then you should just quit it. Why? Because your job will lose its interest if you are an expert. 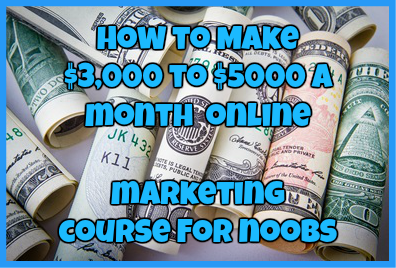 The truth of the matter is that you can always learn more as you go and the more you learn, the large the payoffs will be for you and the more successful you will be at domain flipping. In my personal and professional opinion domain flipping is the perfect way to make money online. There is little to no risk involved and the more you learn, the more profitable this adventure can be for you. The key to being successful is using keyword research to your advantage and learn from other people how to successfully flip your domains. 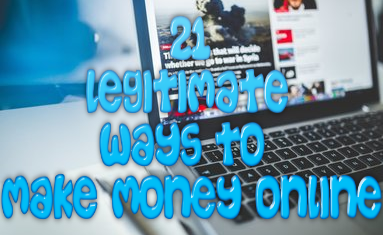 While I do not think this is the BEST way to make real money online, it is certainly one of the easiest. Have you ever flipped domains before? If, so is there some advice that you would like to share with others? If that is the case I would love to hear from you! Just drop us a detailed comment below. Global Domains International: How Great Is This Online Opportunity? looking for very good paying email-jobs. Let us say for each email I would getting paif 20$. or software. Can you help me with this kinf of jobs ? Most of the “jobs” tend to be scams and are much harder than you think it is. Because of this there are none that I actually recommend right now.